Behind every great race there’s a great training plan. If you’re looking for the best plan to help you achieve your race goals, you’ve come to the right place. Developed by acclaimed triathlon writer and expert Matt Fitzgerald, Triathlete.com Online Training Plans are super time-efficient, easy to follow, and based on the most cutting-edge training methods. And with 10 different levels for the Ironman distance, there’s a perfect fit for every triathlete, regardless of experience and ability level. 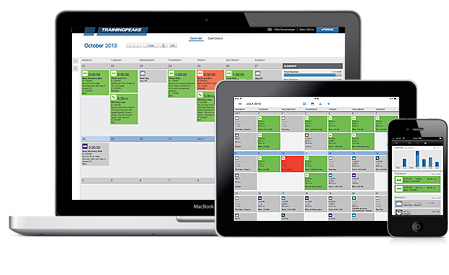 A personal training calendar powered by TrainingPeaks. Log workouts and analyze heart rate, power, pace and other data. Receive optional daily workout notifications via e-mail. Upload your workouts from over 90 compatible devices. View workouts on the go with free apps for iPhone or Android. Training Resources and advice from TrainingPeaks. Don’t need a plan, but still want to log your training? Start your free TrainingPeaks account!